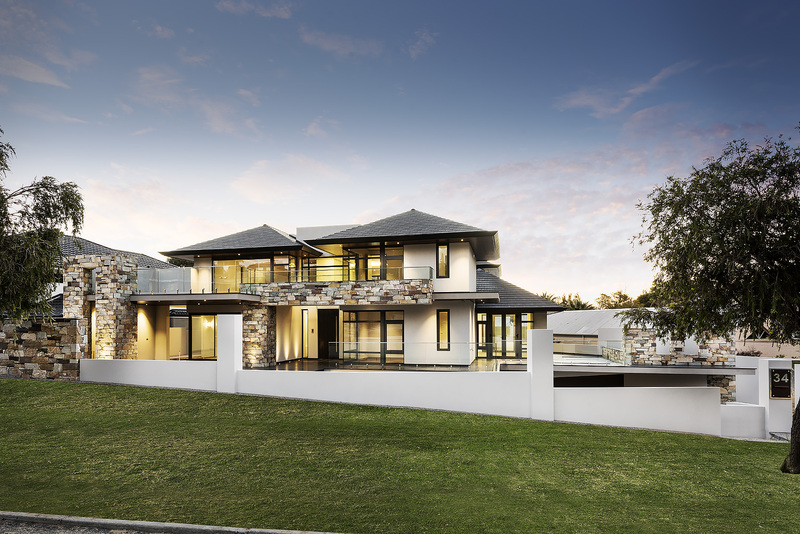 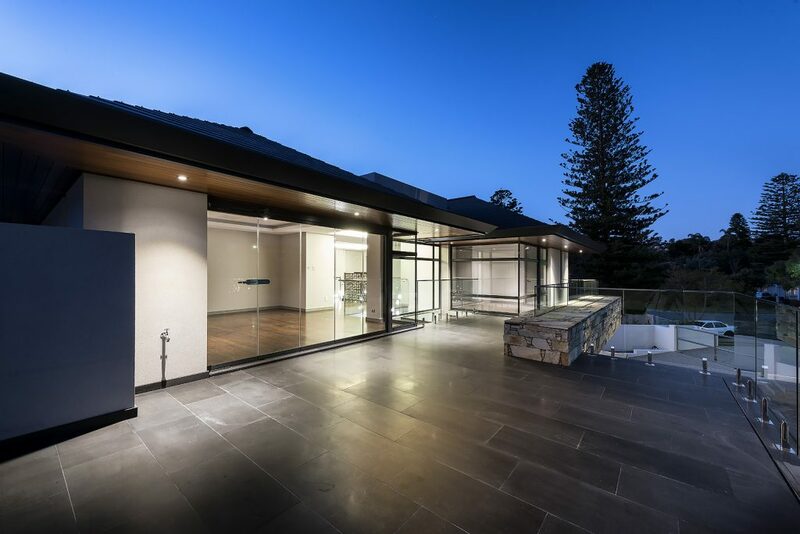 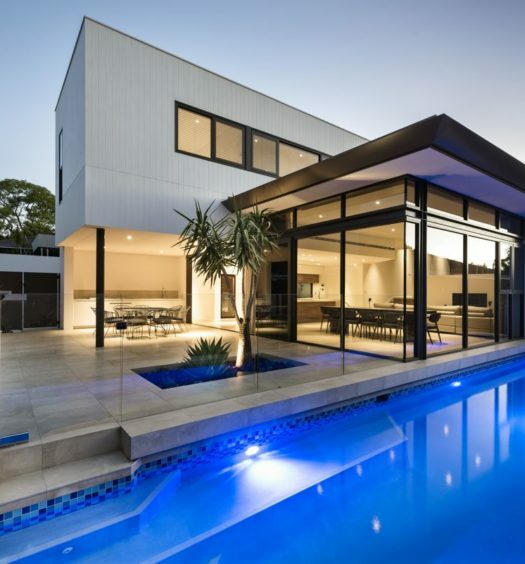 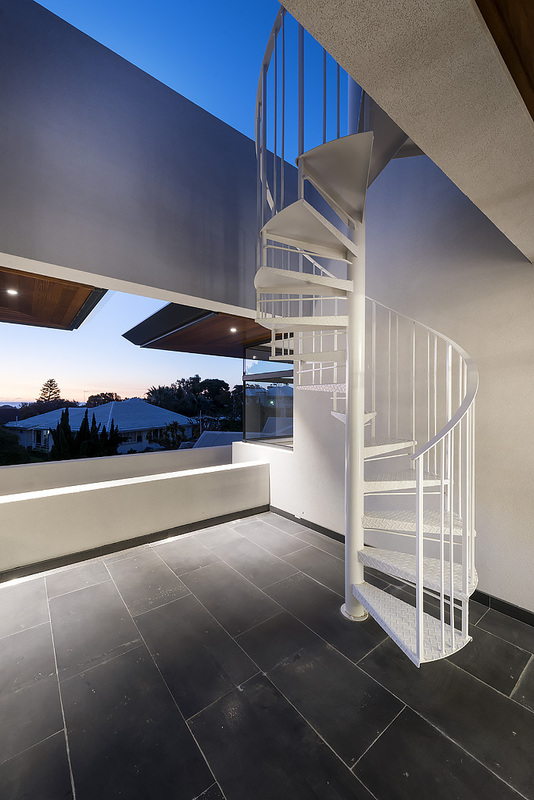 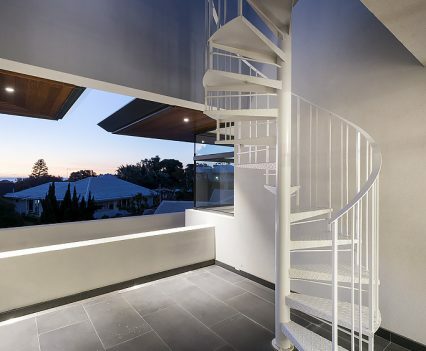 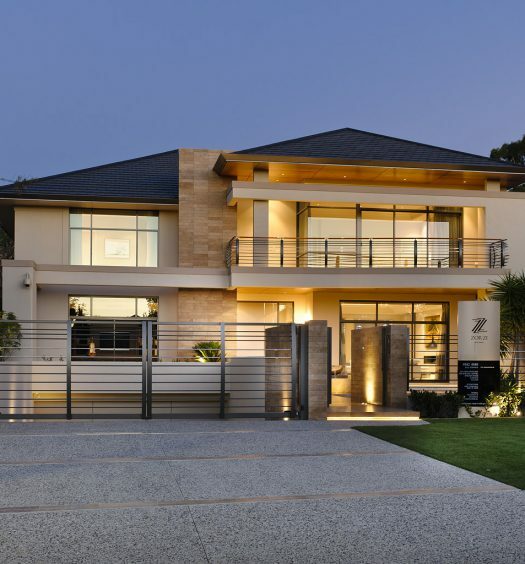 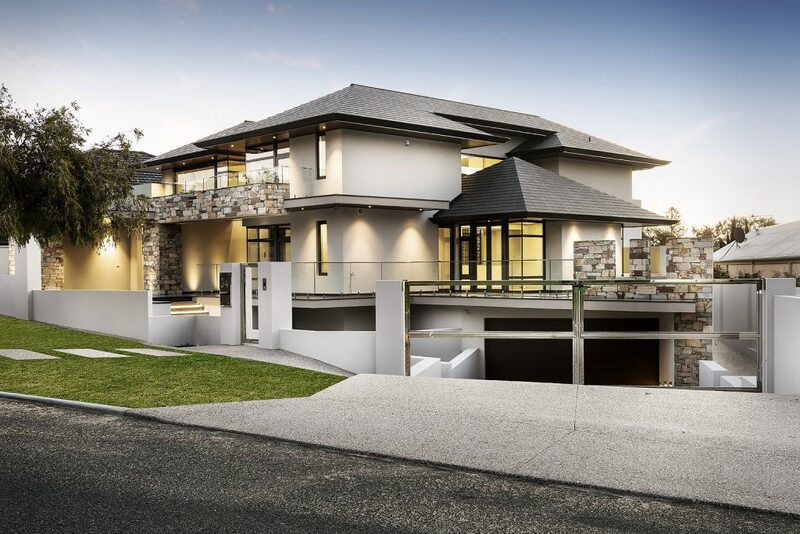 A testament to the exceptional craftsmanship that this award winning builder has become renowned for – this newly completed home in City Beach by Luxus Homes is a stand out amongst neighbouring luxury homes. 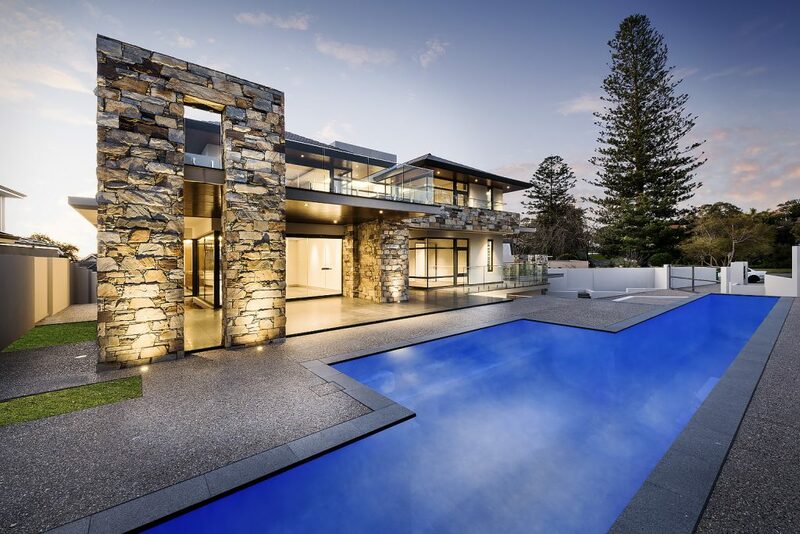 Situated on1048sqm of coveted Perth real estate, the expansive home fully embraces the ocean side lifestyle with a contemporary, open design that is juxtaposed with rustic handcrafted detailing, showcasing the exceptional skill and workmanship of the tradespeople involved and giving the home a unique and commanding street presence. 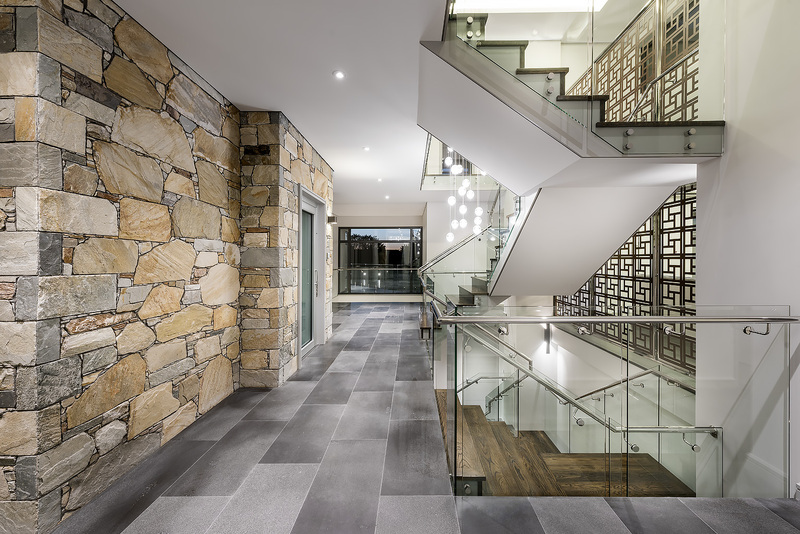 Beautifully crafted stonemasonry work features extensively on both the exterior and interior of the home. 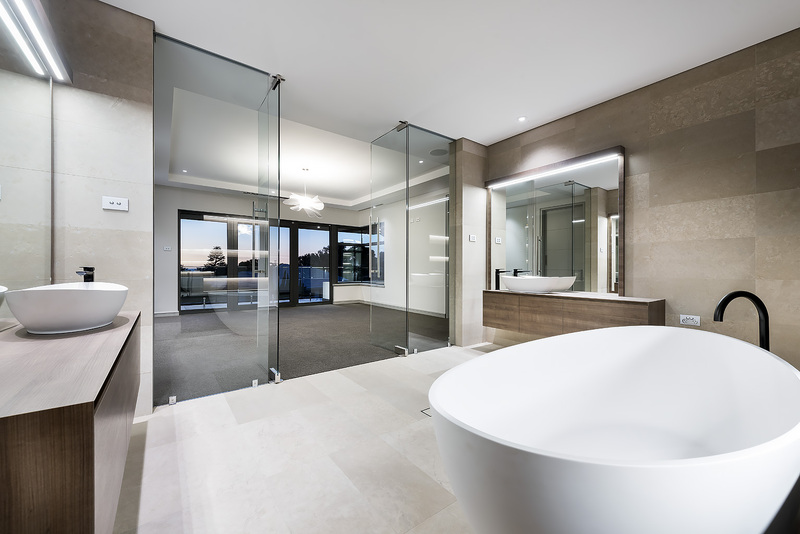 As does imported granite tiles, heated internally for comfort and flowing through to the exterior to enhance the seamlessness of the outdoor / indoor living space – which inclusive of five balconies and terraces strategically placed to capture stunning ocean and island views, totals over 930sqm of living space. 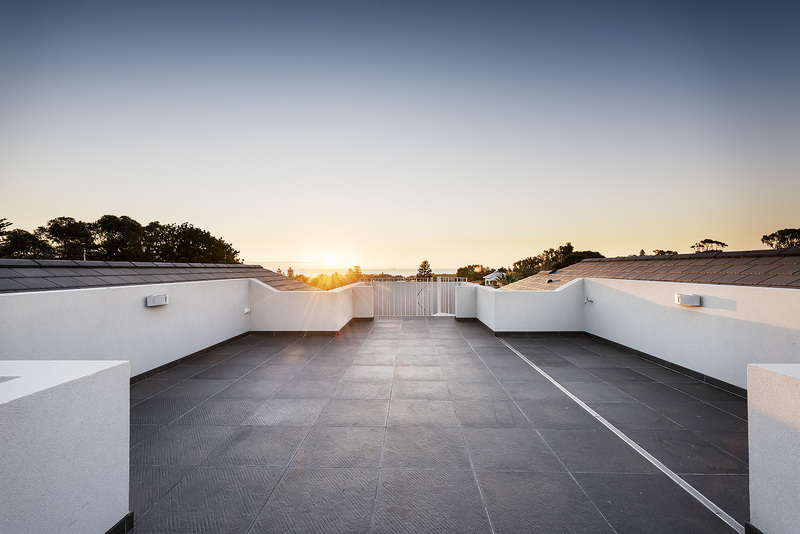 A hydraulic lift services the three main levels which includes a four car garage and beautifully appointed wine cellar at ground level. 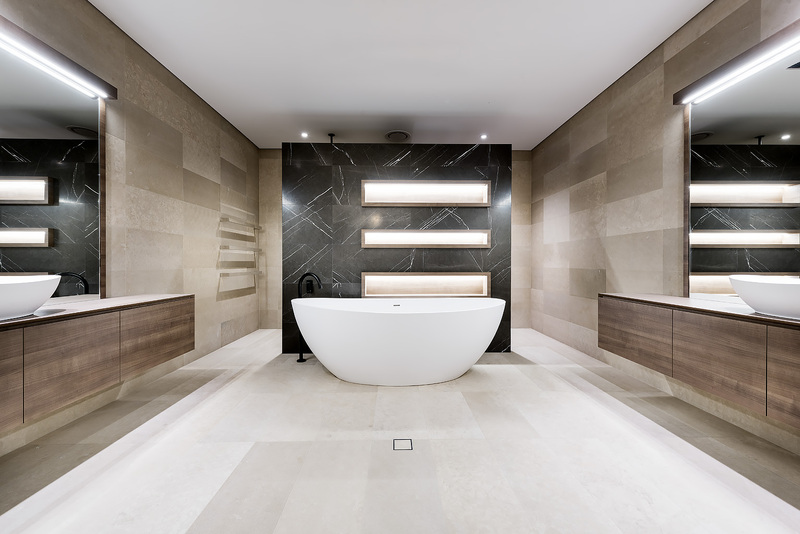 Four bedrooms each with their own ensuite include a luxuriously appointed master suite that features a free-standing bath at the centre of its stunning symmetrical design. 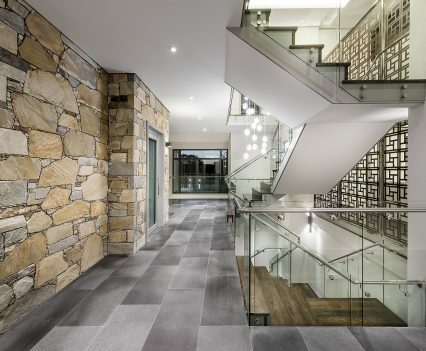 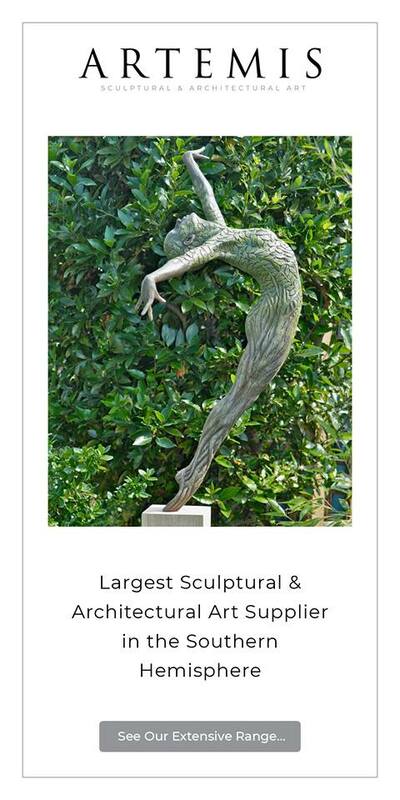 The exquisite detail and quality finishes are evident throughout this entire home. 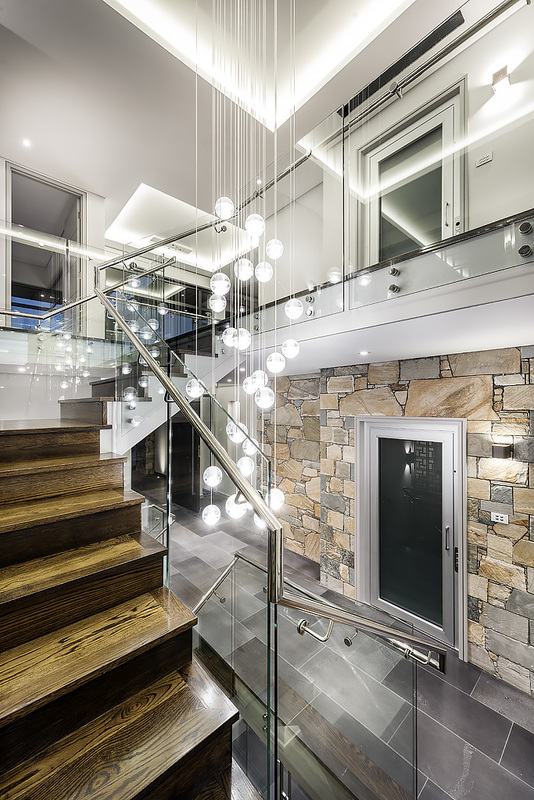 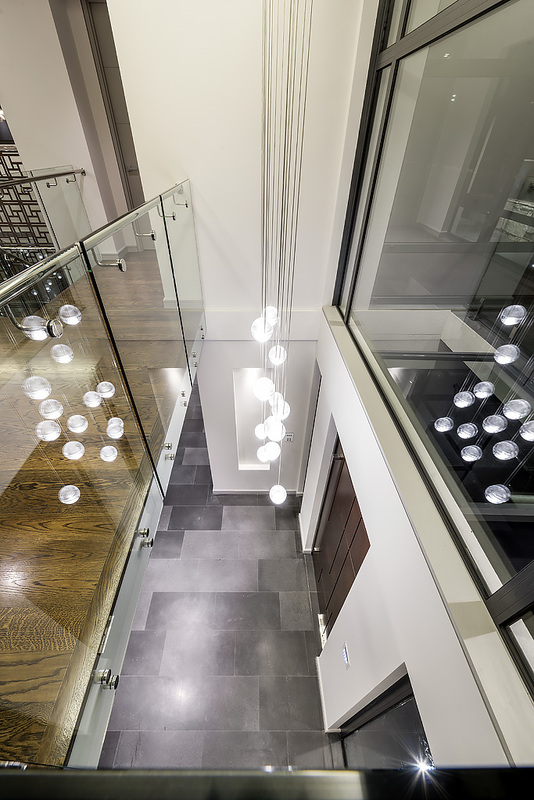 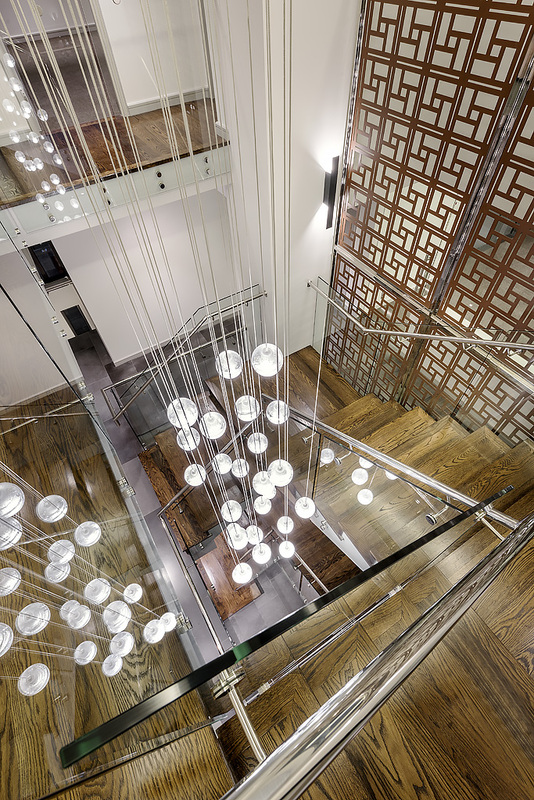 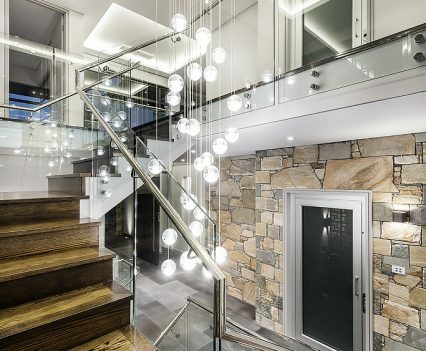 Particularly striking is a central staircase that combines stained American Oak timber with stainless steel and glass balustrading against a laser cut screen. 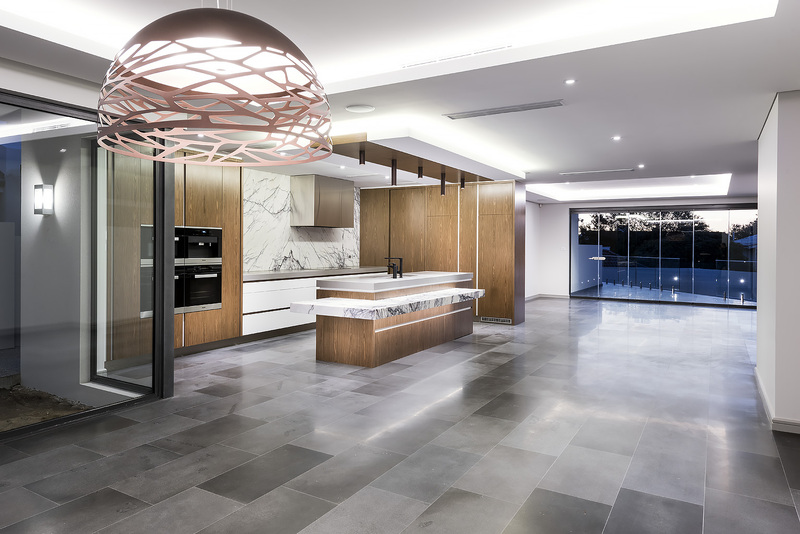 At the centre of the dining and living areas, the sleek and sophisticated kitchen has been fit with state of the art appliances. 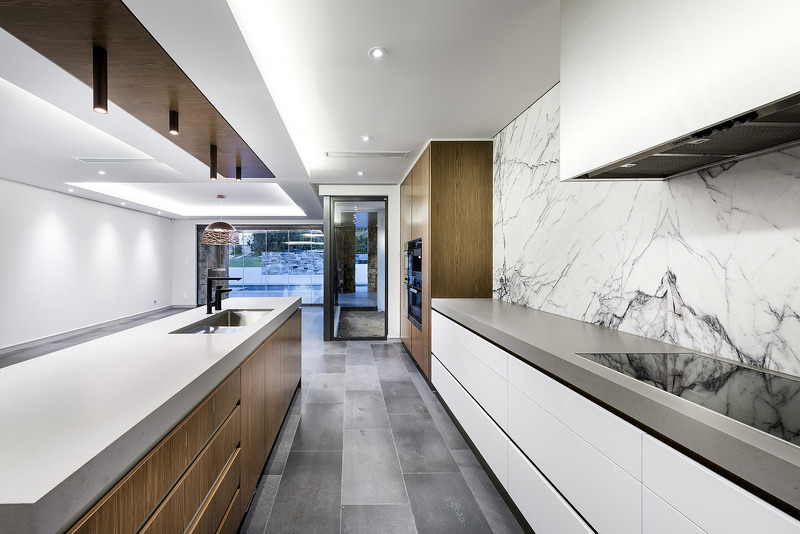 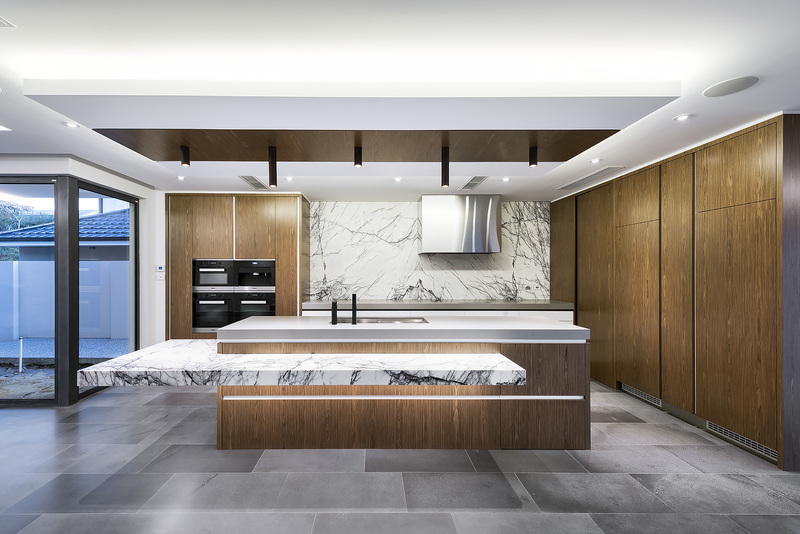 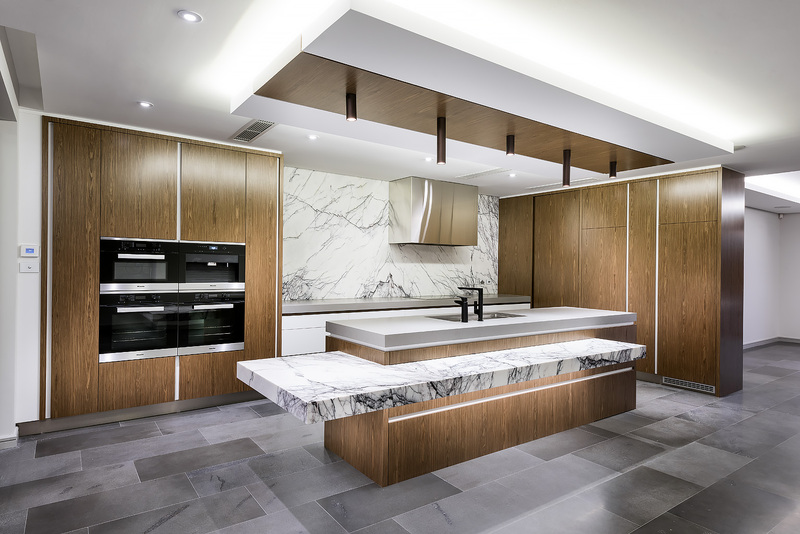 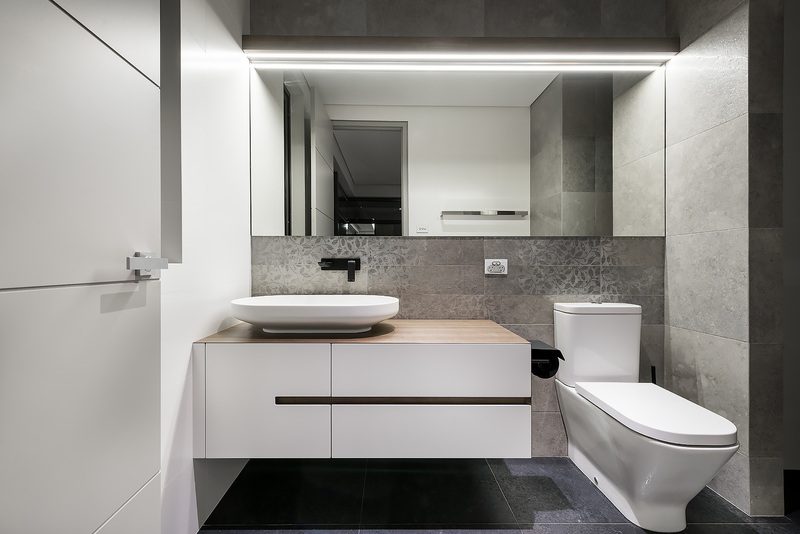 Luxurious finishes including marble and exquisite timber veneer cabinetry conceal necessary functions for a stylish and minimalist appearance whilst imbuing a warmth and organic quality to the home that exemplifies the City Beach lifestyle. This home will be open for inspection for a limited time throughout 2017.